William Sommer is seen as a key person in bringing European modernism to Northeast Ohio. He was born in Detroit, Michigan, and in his youth apprenticed for seven years to a lithographer. He briefly studied at an art academy in Germany and then worked as a lithographer in New York before moving to Cleveland, where he was awarded a major contract with the Otis Lithography Company. There he became friends with sculptor and painter William Zorach, and the two, determined to be fine artists, began painting together on weekends. They also became intrigued by avant-garde movements, especially after Zorach's trip to Paris in 1910. In 1911, Sommer co-founded a group in Cleveland called the Kokoon Club, a mixed group of commercial artists and radical modernists who sought the freedom to pursue their independent tendencies. They converted a tailor's shop into a studio and held exhibitions and lectures and organized an annual masked ball that became the focus of Cleveland's bohemian life. In 1913, he and his colleagues began painting at Brandywine, about 30 miles south of Cleveland and made a school house into a studio. They devoted increasing time to watercolor painting because they could work spontaneously and it would dry quickly. Rejecting the conventional ideas of beauty, they strove for the expression of emotion and spontaneity and fantasy. One of Sommer's most successful students was Charles Burchfield. As he was perfecting his mature style, he had financial difficulties because he made his living from commercial lithography, which was becoming obsolete, and the Depression was hitting the nation causing him to lose his job. 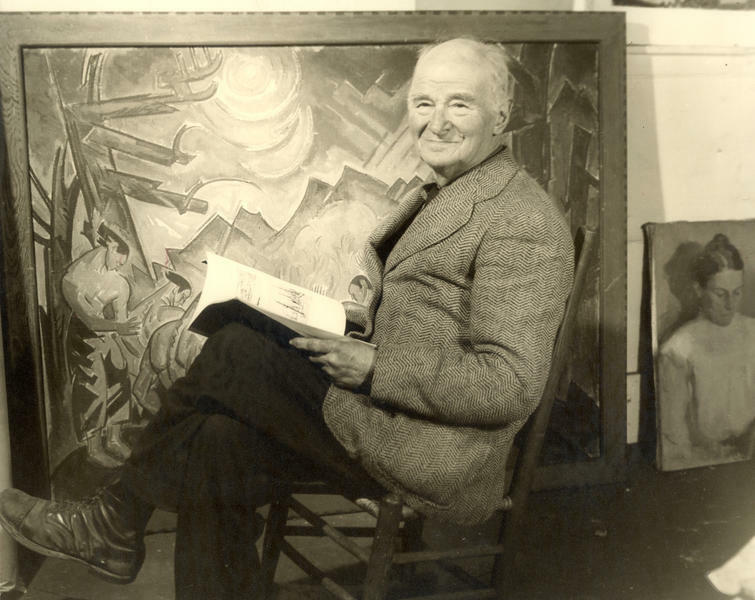 He became a WPA artist, doing murals in northeastern Ohio. After his death at age 82, he was largely forgotten until 1980 when Hilton Kramer, a "New York Times" critic, praised his work. In May to July, 1994, the Ohio Arts Council held a retrospective of his work at the Riffe Gallery in Columbus. His work is found in many public collections including the National Museum of American Art, The Metropolitan Museum of Art, and the Whitney Museum of American Art.